In rural Pennsylvania, a process for extracting gas from shale known as fracking has released dangerous gases into a community's drinking water, forcing families to leave their native places. For the Ely family, their problems run deep, underneath the soil, in their roots. Scott Ely grew up on this land, but things have changed since he was a child. For the last year and four months, he and his family have been unable to drink their water. The problems began when he agreed to allow Cabot Oil and Gas to drill on his property. The Elys are one of more than a dozen families in Dimock, Pennsylvania who have water that is full of methane gas. Families like the Elys live out of tanks that hold 250 gallons of water. The water is delivered once a day. Ely says that he and his wife signed on to the Cabot plan only after they were assured the gas extraction would be a quick, safe process. The reality is quite different. Scott Ely and his cousin were even able to light their water on fire. For Jim Grimsley and his wife Ann Van Lenten, however, Dimock is where they came to retire. Drilling just began on their property, but they are hopeful. "We did sign on and we’re not sorry that we did," said Ann. "Susquehanna County is a poor county, so a lot of people did get work and they got jobs and they’re making money, so to me that’s a plus," said Jim. But some of those who got jobs complained about Cabot Oil and Gas and were punished or put on leave. Most of the employees are from Texas and stay in rented houses or local hotels. The Pennsylvania Department of Environmental Protection has been out several times to look at the situation in Dimock, but only recently decided to take action. The DEP has how issued orders for Cabot to plug three wells they have already drilled, which could cost millions of dollars. Cabot also has 30 days to install permanent water supplies for families, including the Elys, who have water delivered. “If Cabot doesn’t agree to these terms and get it done, we’ll be in court and seeking a court order to enforce what I’ve just laid out," said Scott Ely. For Jim Grimsley, what has happened is simply a rough patch. “It’s just like anything. When they were digging subways in New York City a hundred years ago, everybody probably hated them. Today, they move a couple million people a day. Without them, New York City wouldn’t be there," Grimsley said. But for Ely, it is a looming question of whether to uproot his family from the only place he has ever known or to keep them in Dimock with the hope that things will change. America's largest shale gas reserve is in the north-east of the country and as the fracking industry develops, even the water in New York may be under threat. Environmental reporter Allison Sickle said that there have been no studies into whether fracking is a safe technique. “There is no guarantee that hydraulic fracturing cannot contaminate surrounding wells’ waters and streams,” she said. Sickle pointed out that New York City has an unfiltered water supply. If it were to be contaminated by a hydraulic fracturing accident, then there would be a massive impact on a huge number of residents. Aleksey Kokorin, head of the climate change program at the World Wide Fund for Nature in Moscow, says hydraulic fracking is a new technology, and as with every new technology, it has to be investigated in every detail. “They have to explain to the people what the contaminants are, what concentration is allowed, what the possible range of risk is. Officials should be absolutely transparent, open and friendly towards the local people. This is the only way to co-operate on any new technology, and in particular on this shale gas technology,” Kokorin says. Valery Petrosyan of the Faculty of Chemistry at Moscow State University believes the new technology should be used with caution. 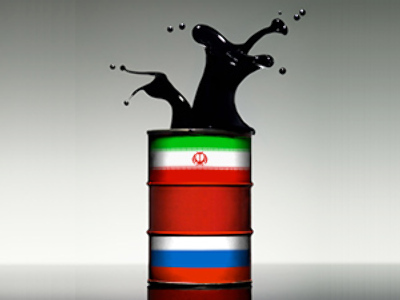 “The key problem here is chemical safety for people and the environment as gas extracted from the bottom of the sea contains toxic compounds such as organic and inorganic derivatives of sulfur and also mono and polycyclic hydrocarbons, which are strongly carcinogenic,” said Petrosyan. Boris Revich from the Russian Academy of Science agrees that the risks of fracking should be thoroughly calculated. Otherwise, contagious elements of gas can pose a great threat to both people and the environment.